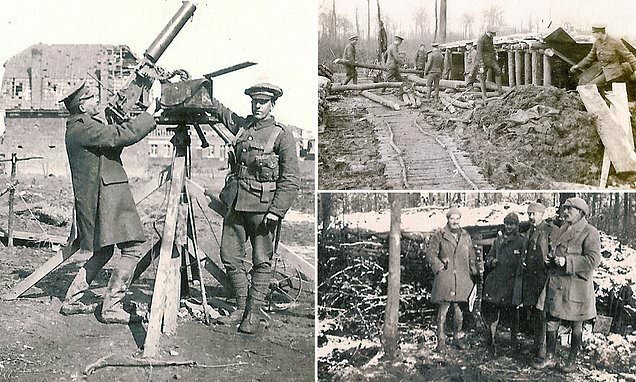 A remarkable set of photographs taken by a First World War hero has been revealed for the first time – 104 years after he brought his camera to the battlefields of Ypres. 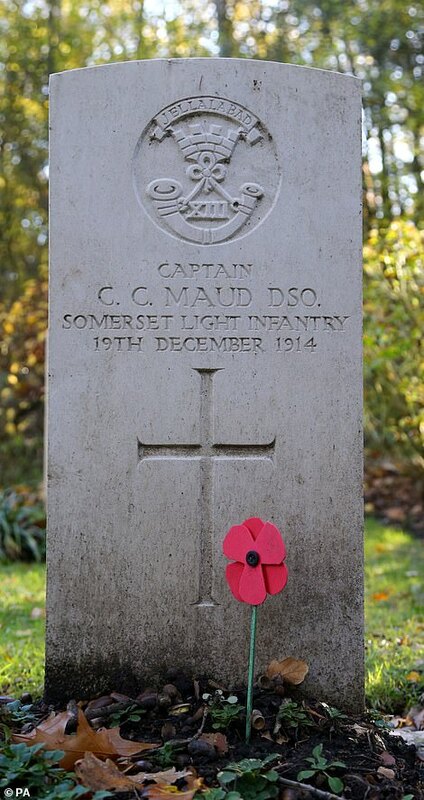 One poignant image depicts the grave of Capt Charles Carus Maud, a friend of Capt Bennett who was killed while fighting on December 19, 1914. 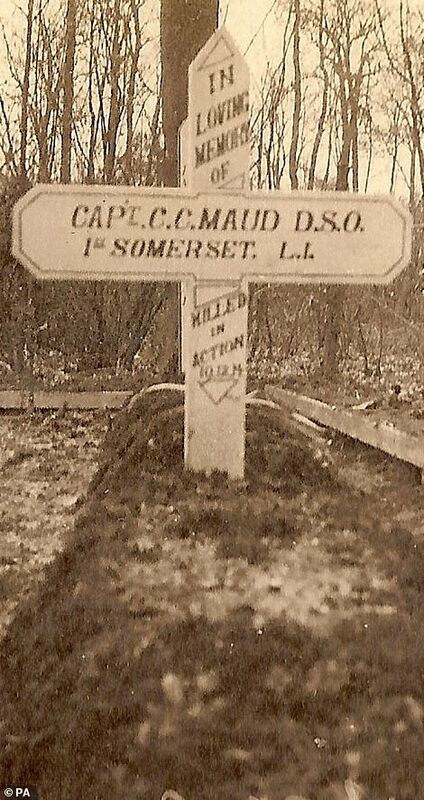 Photographs of his final resting place – now part of a Commonwealth War Graves Commission cemetery – are captioned ‘Maud’s Grave’ in Capt Bennett’s scrapbook. 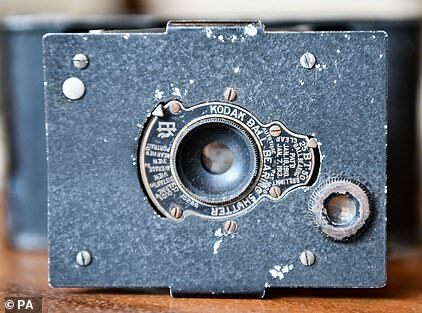 The Vest Pocket Kodak (VPK) was a camera marketed to soldiers during the First World War. 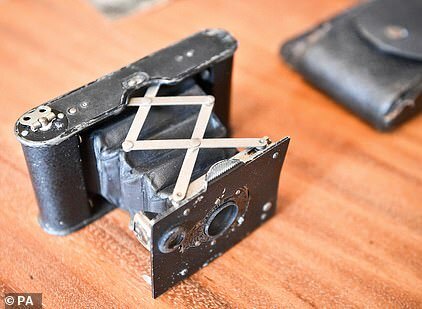 It was a foldable camera, which measured no bigger than a smartphone, and could fit easily in a uniform pocket. On sale from 1912 until 1926, the VPK was the first camera to use the smaller 127 film reels. It had to be loaded through the top with both film spools at once. The basic VPK was fitted with a two-speed ball bearing shutter – 1/25 and 1/50 sec – and a fixed-focus lens. 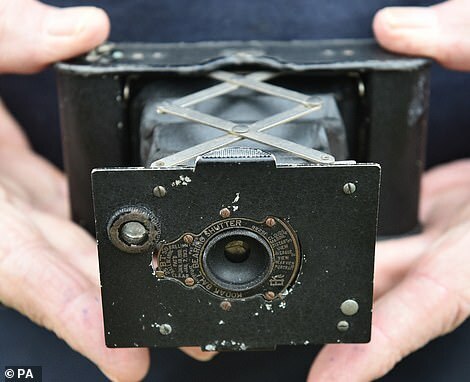 The camera was favoured by soldiers due to its size – when folded, it measured no bigger than 2.5 inches by 4.75 inches. 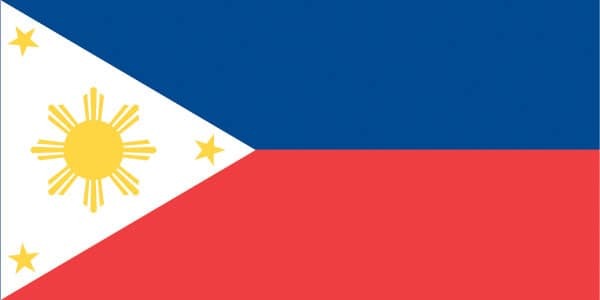 More than two million were sold before it was discontinued in 1926, and it is believed that they retailed for about 30 shillings. 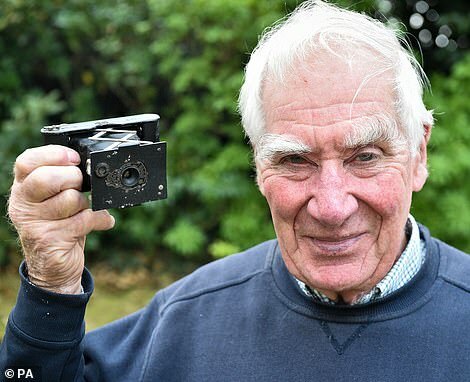 His son, Tony Bennett, 82, who himself served as a lieutenant colonel in the Somerset Light Infantry, said: ‘He went right at the beginning of war and he brought his camera with him. 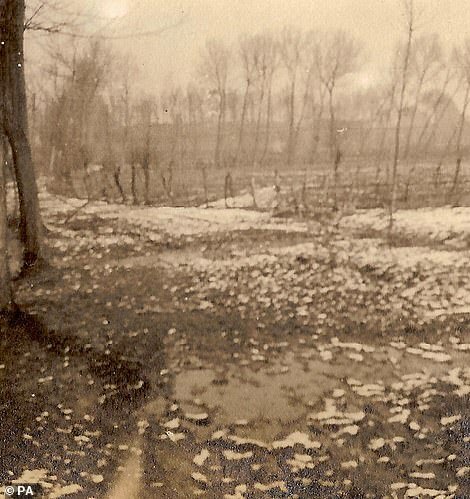 ‘It was a Vest Pocket Kodak. 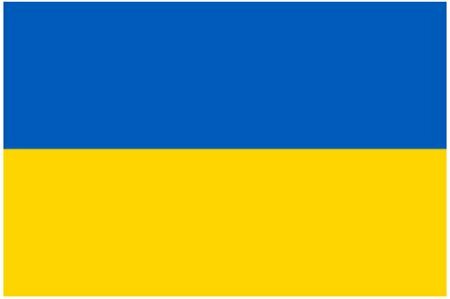 Quite a few of them were taken out by people in the Army. There are about 30 pictures or so in the scrapbook. 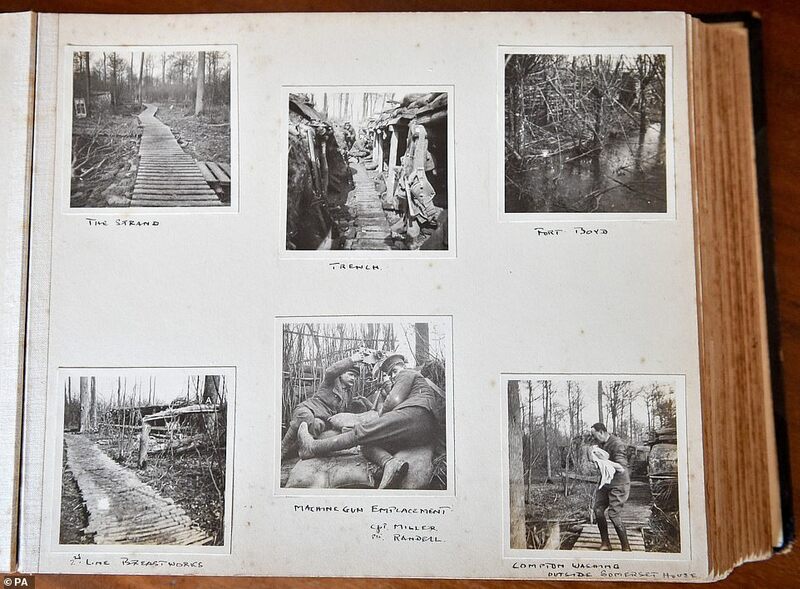 German soldiers handed Capt Maud’s body to his comrades, telling them he was a ‘very brave man’, war diaries show. 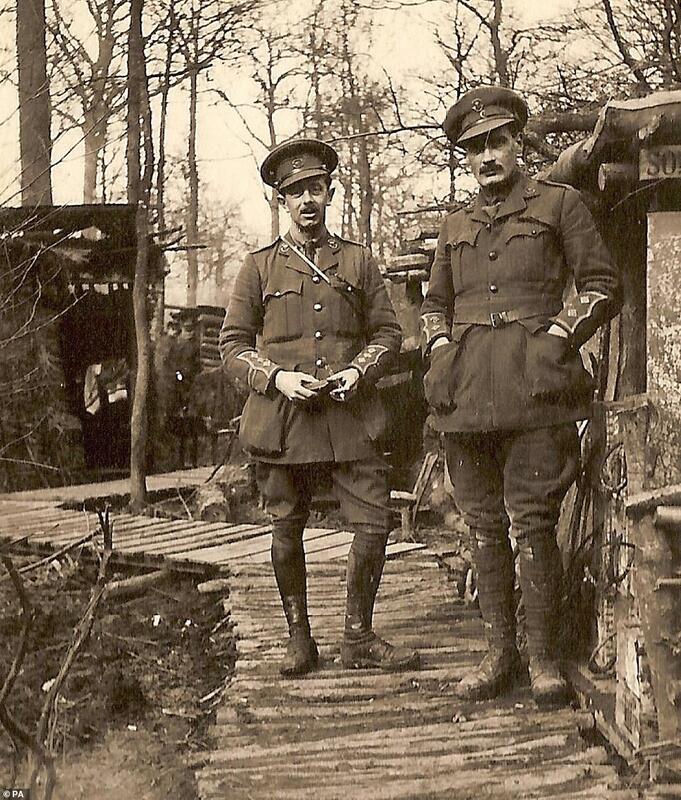 ‘A truce was mutually arranged by the men in the trenches,’ it read. 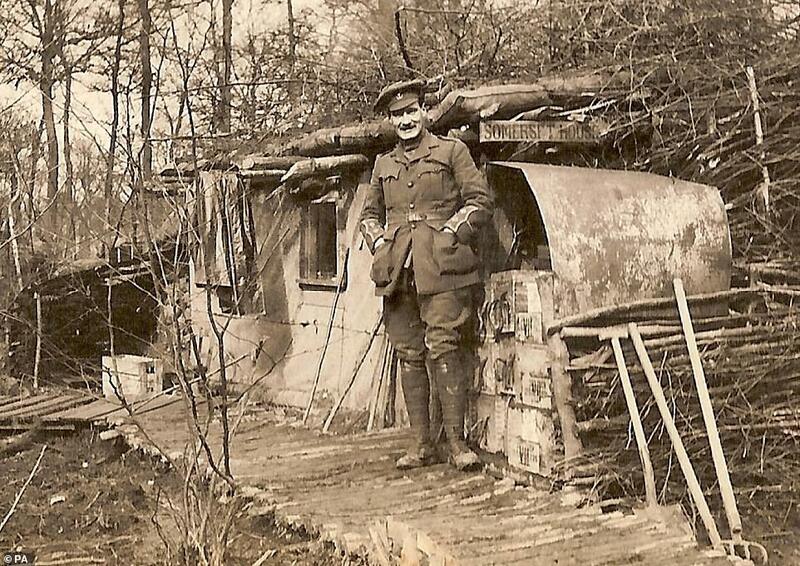 ‘He was awarded the Military Cross in June 1915 and was given four days to get back to Buckingham Palace,’ Mr Bennett said. ‘We should continue to remember because so many people gave their lives,’ Mr Bennett said. 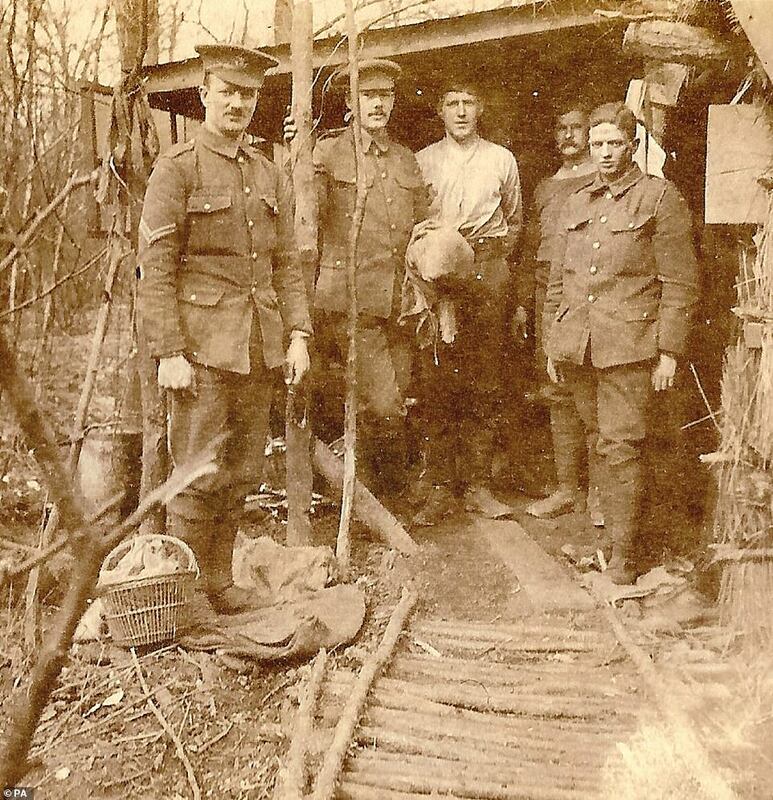 Carole Arnold, the Legion’s community fundraiser for Devon, said: ‘The photographs provide a fascinating insight into what life in the trenches was like and the conditions the soldiers endured in the early days of the war. 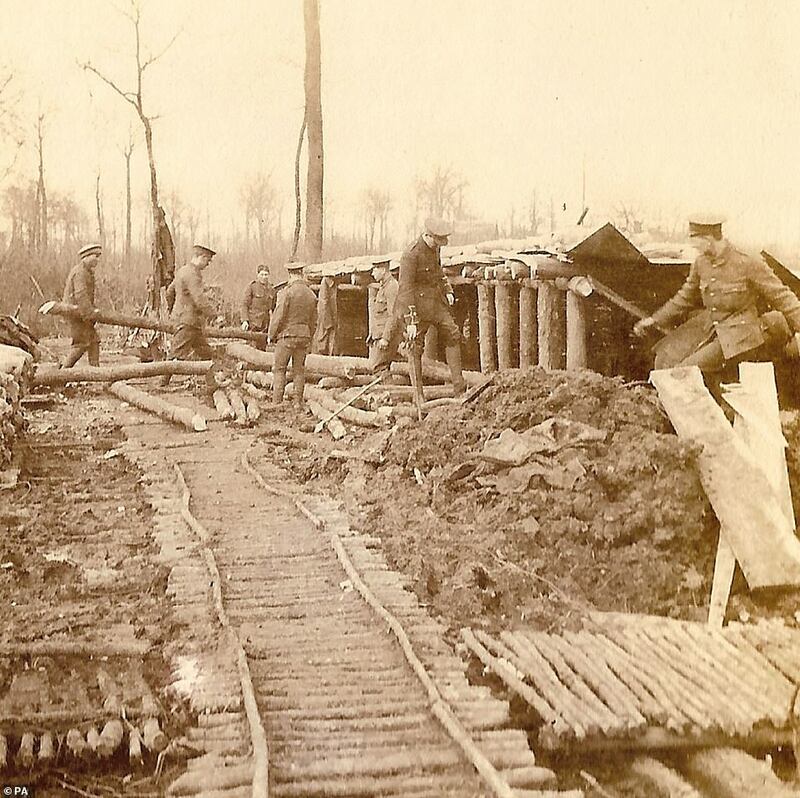 The First Battle of Ypres took place on the Western Front in Flanders, Belgium from October to November 1914. 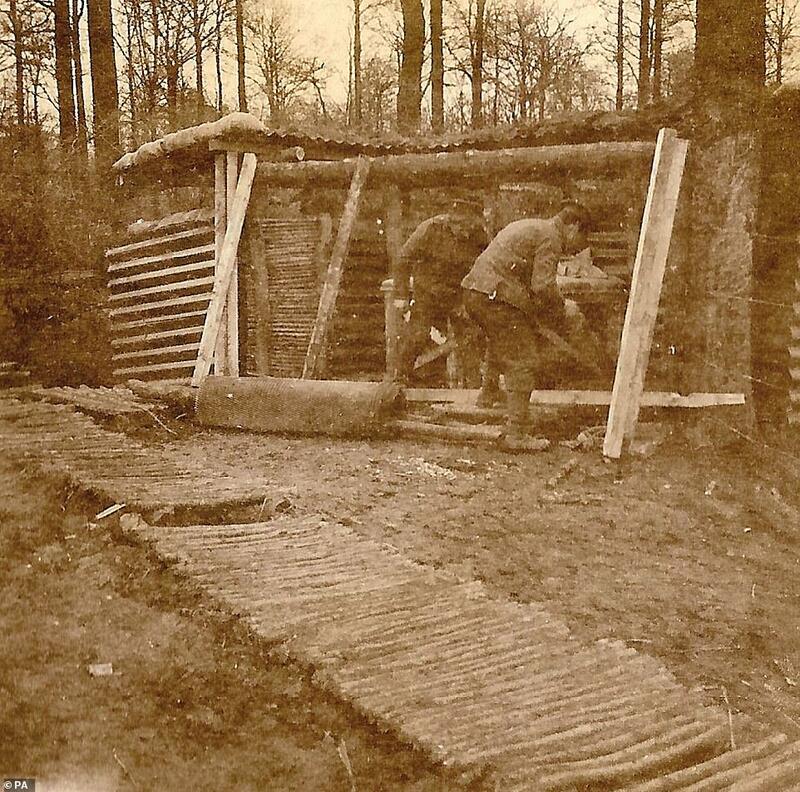 Strong German forces moving west clashed with the British Expeditionary Force (BEF) and French units from Langemarck in the north-east through Zonnebeke, Gheluvelt, Zandvoorde, Wytschaete and Messines in the south. 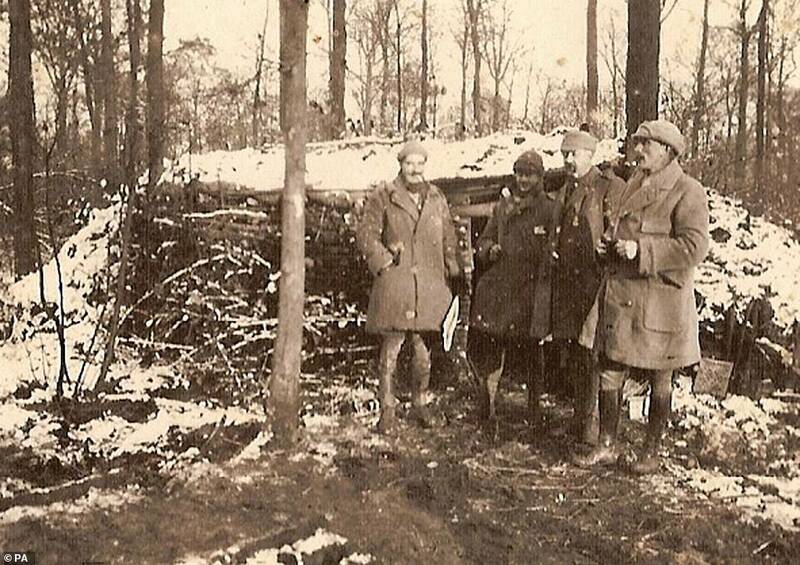 Among the British Empire troops engaged in the desperate fighting were units of the Indian Army, recently arrived in Europe and put straight into action. 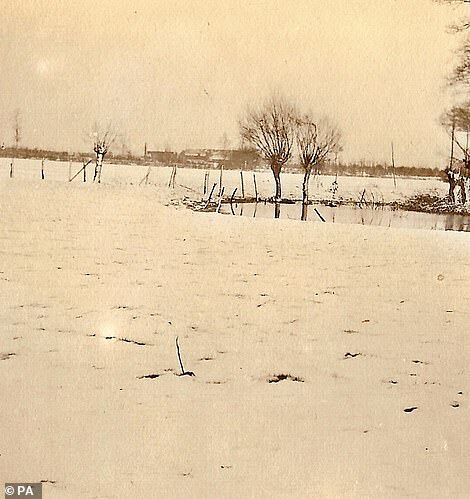 The enemies fought along the entire front in ever-worsening weather conditions until further German attacks were called off. 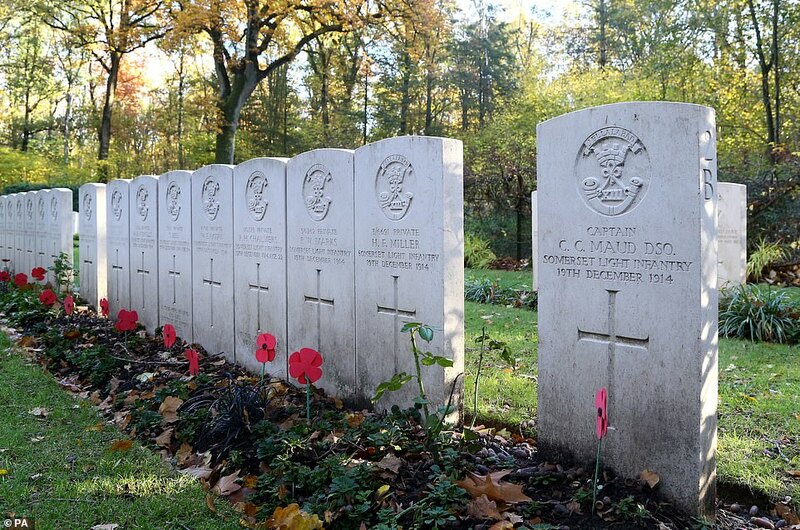 Between October 14 and November 30, 1914, the BEF suffered more than 58,000 killed, wounded and missing. 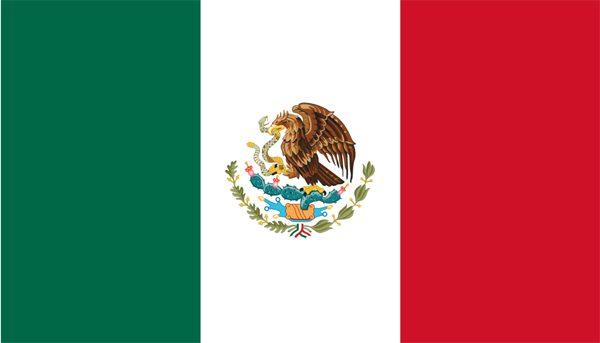 German losses are estimated to have been more than 120,000. 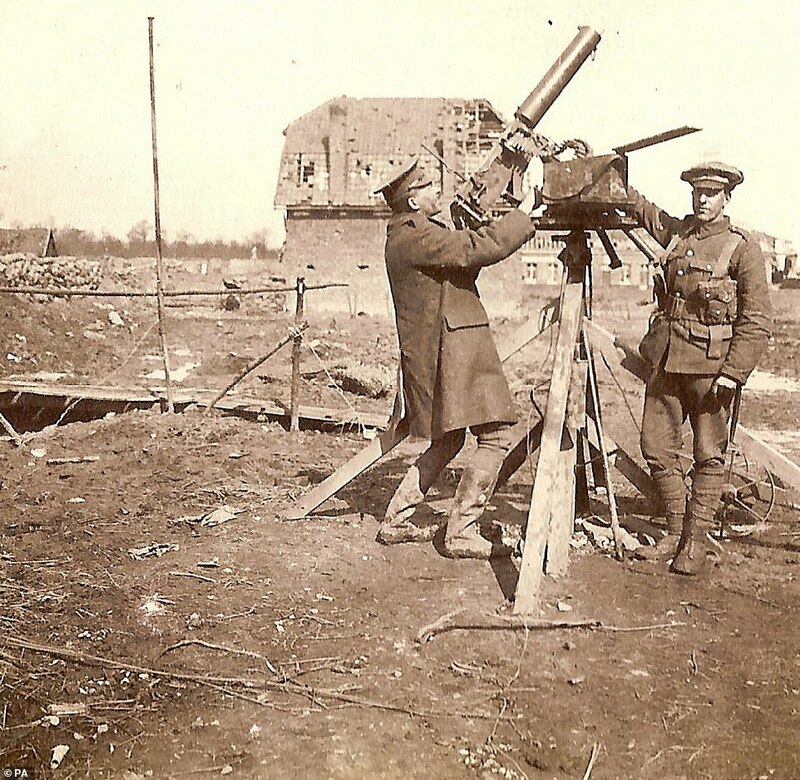 The Second Battle of Ypres took place from April to May 1915 – and was notable for the introduction of a new and deadly weapon by the German army on the Western Front: poison gas. 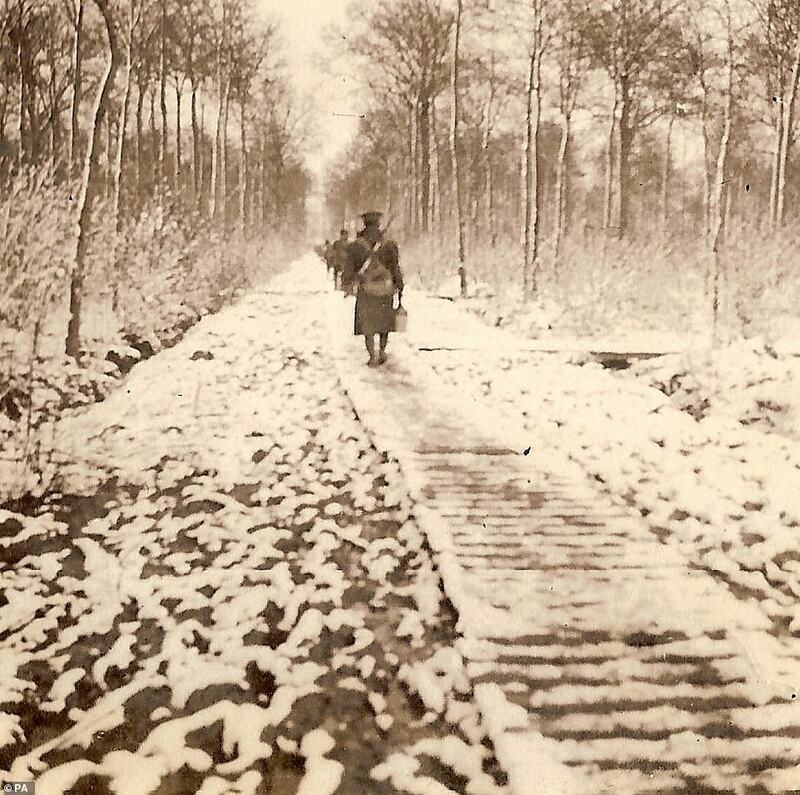 In spite of this, the Allied line remained unbroken, due in no small part to the bravery of the Anglo-Canadian forces. 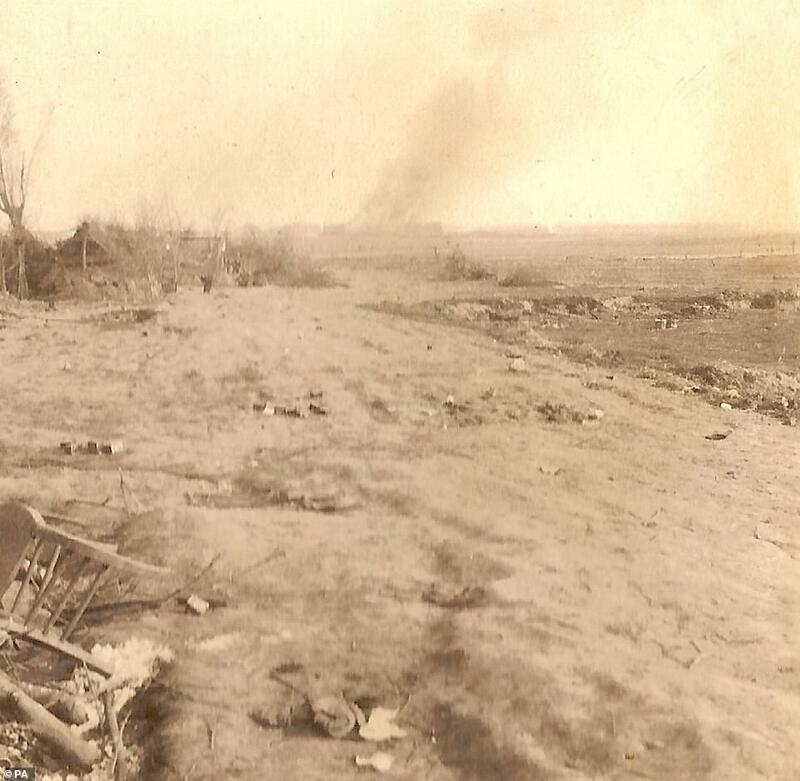 Among the Allied, 87,000 were killed, wounded, or missing; the Germans saw 35,000, killed, wounded, or missing. 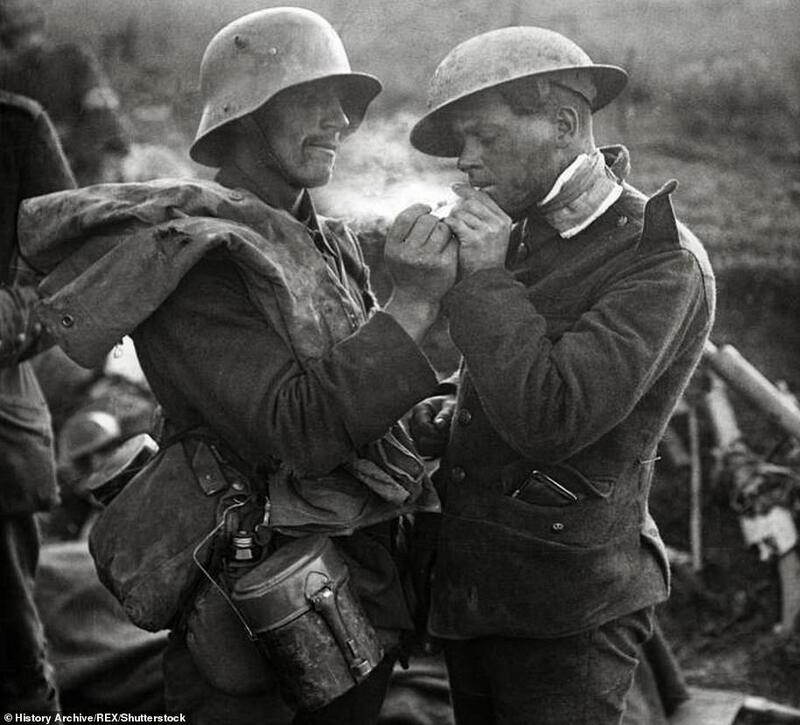 The Christmas Truce was a series of widespread, unofficial ceasefires that took place along the Western Front in Flanders Fields around Christmas 1914. 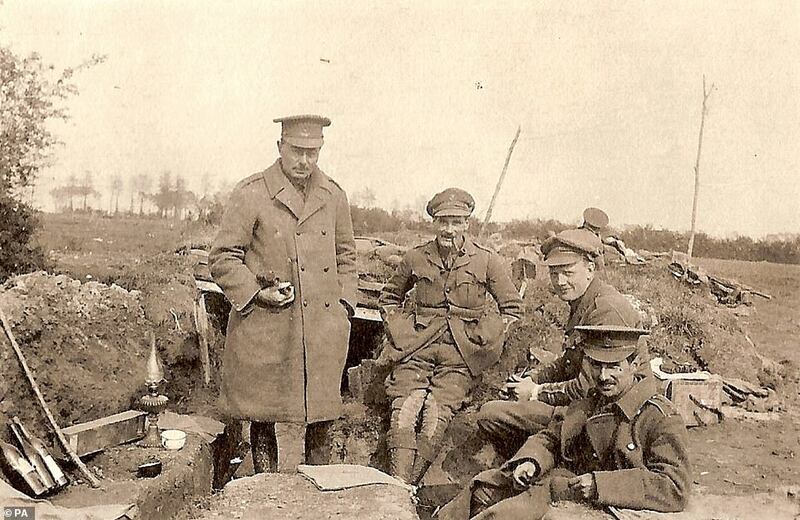 On Christmas Eve and Christmas Day, many soldiers from both sides independently ventured into no man’s land, where they tentatively socialised to host joint burial ceremonies, several meetings and carol-singing. Troops from both sides were also friendly enough to play games of football with one another, in one of the truce’s most enduring images.